Chicken, BBQ sauce and cheese - what's not to love? 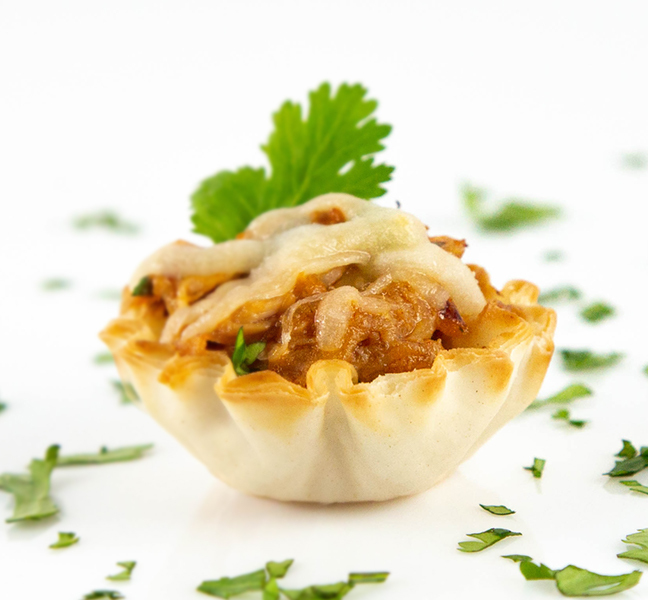 These super simple pizza cups make for a quick and tasty appetizer or snack. In a small bowl, combine chicken, onion, cilantro and barbecue sauce and mix well. Spoon about 1 teaspoon of mixture into each phyllo shell and sprinkle with cheese. Bake in a preheated 400°F for about 8 minutes or until the cheese melts. Serve immediately. 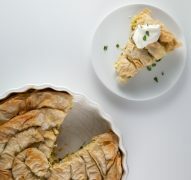 We can’t get enough of light, savory comfort food dishes – and this Greek zucchini pie made from phyllo dough and filled with a mixture of zucchini, green onions, egg, & cheeses is just that! 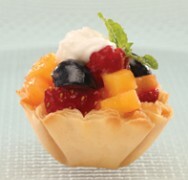 An array of fresh and juicy fruits come together in crispy Mini Phyllo Shells in this excellent anytime appetizer.